Dee Gordon, Jean Segura, Mitch Haniger and Ben Gamel gained no ground in the voting rankings at their respective positions. 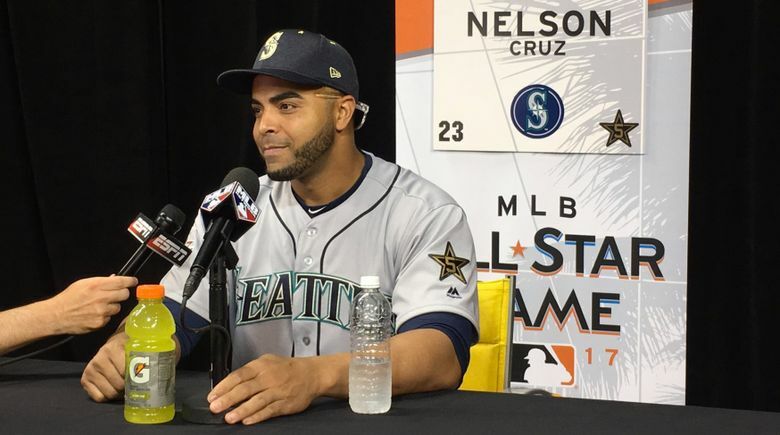 BALTIMORE — Nelson Cruz was named the American League player of the week on Monday and joined teammates Jean Segura, Dee Gordon, Mitch Haniger and Ben Gamel on the American League All-Star voting update on Tuesday. Cruz was ranked fifth at the designated hitter position with 424,914 votes. Boston’s J.D Martinez leads the position with 1,675,492 votes. None of the other four Seattle players on the update gained ground at their respective positions from last week’s update. Gordon remains third in the voting at second base with 395,253 votes, but Houston’s Jose Altuve is still the leading vote getter in all of the American League with 2,460,967 votes. Jean Segura remained fifth in the ultra-competitive shortstop voting with 504,985 votes, while Mitch Haniger (487,150) stayed at eighth and Ben Gamel (257,653) stayed at 15th in the outfield voting.